Japanese Health and Sports Day commemorates the opening of the Olympics in 1964. Healthy living and sports events are celebrated every year in Japan on the 2nd Monday in October. These vegan and gluten-free mini donuts sparkle with autumn spices. 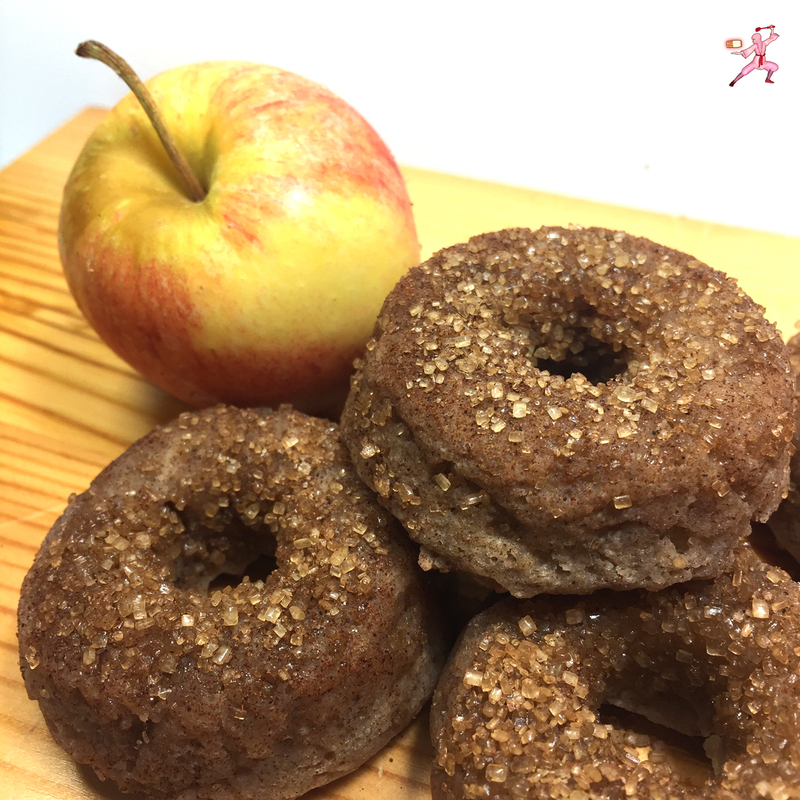 The donuts are low in sugar and high in scrumptious spiced apple flavors. This recipe is adapted from A Dash Of Megnut. Pour the apple cider into a small saucepan. Reduce the apple cider over a medium flame heat for about 15 minutes. Or until it reaches 3/4 cup. Preheat the oven to 350F. Coat a mini donut pan with coconut cooking spray. Whisk together the gluten-free flour, brown sugar, baking soda, baking powder, salt, cinnamon, nutmeg, and cloves in a large bowl. In another bowl, combine the reduced apple cider, melted vegan butter, applesauce, and vanilla. Stir the wet ingredients into the dry ingredients bowl. Divide the batter into the donut pan wells. A chopstick does wonders to even out the batter in the wells. Bake at 350F for 12 minutes, turning the pan halfway through the bake. A toothpick inserted into a donut that comes out clean meansit’s done and time to enjoy! For even more yumminess, sprinkle the warm donuts with Demerara sugar and cinnamon.